We also tested the overclocked Core i7 940 with Turbo Boost disabled and found that the feature doesn’t have much value - its speed increase is marginal. You'll often find that the overclocking fraternity disable SpeedStep and Turbo Boost when they are working with Core i7 to assist stability. And so we come to our first experience of overclocking the i7 870 and we have to admit that it didn’t go especially well. We raised the CPU core voltage slightly along with the QPI voltage, which is intriguing as Lynnfield uses DMI rather than QPI, but that's what the Bios calls it nonetheless. With these settings we were only able to raise the base clock from 133MHz to 150MHz which resulted in a pathetic clock speed of 3.3GHz. We ran the overclocked i7 870 with Turbo Boost on and off, and also with HyperThreading disabled to mimic how a Core i5 770 might perform when Intel gets round to inventing it. Our results clearly show that both HyperThreading and Turbo Boost play their part in increasing performance, and this is especially clear in the ‘All CPUs’ test in Cinebench. 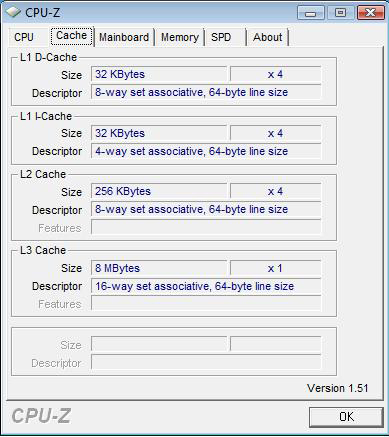 In an older benchmark, such as PCMark05, the benefit is minimal. Things would be a good deal clearer if we were able to spell out our test results, but the Intel NDA makes things tricky. At this stage in the proceedings, our view was that the i7 870 was marginally inferior to the i7 940. 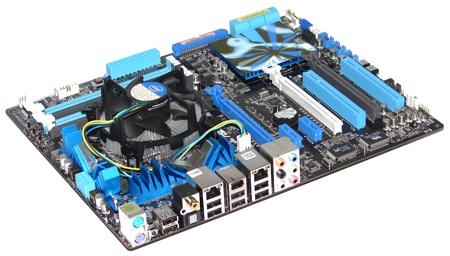 The snag here is that the i7 940, which has been replaced by the 950, is an expensive luxury as you can overclock a £200 Core i7 920 close to 4GHz if you use a decent motherboard. Asus P7P55D Deluxe: ideal for overclocking? Things took a turn for the better when Asus sent us a P7P55D Deluxe motherboard along with the assurance that it overclocks like a dream. We ran the i7 870 with the same settings we used on the Gigabyte mobo, although the QPI voltage setting has been renamed IMC. Initially, we found no difference to the clock speeds we could achieve. However, Asus was adamant that Lynnfield requires the bare minimum of voltage. This is somewhat strange as the P7P55D Deluxe has three switches that allow you to use enhanced voltage settings in the Bios for Ram, CPU and IMC.